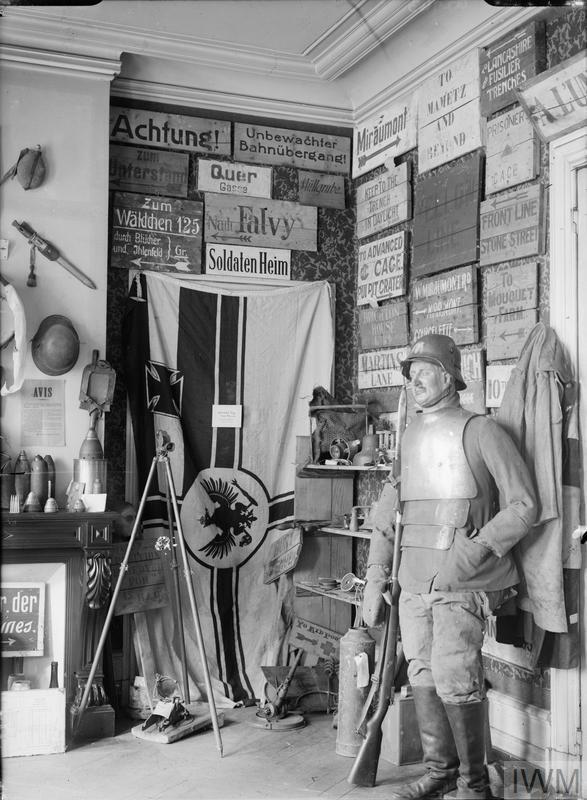 On 5 March 1917 the War Cabinet approves Sir Alfred Mond’s proposal that a collection should be formed of war trophies, books, maps, posters, pictures and other material connected with the war. 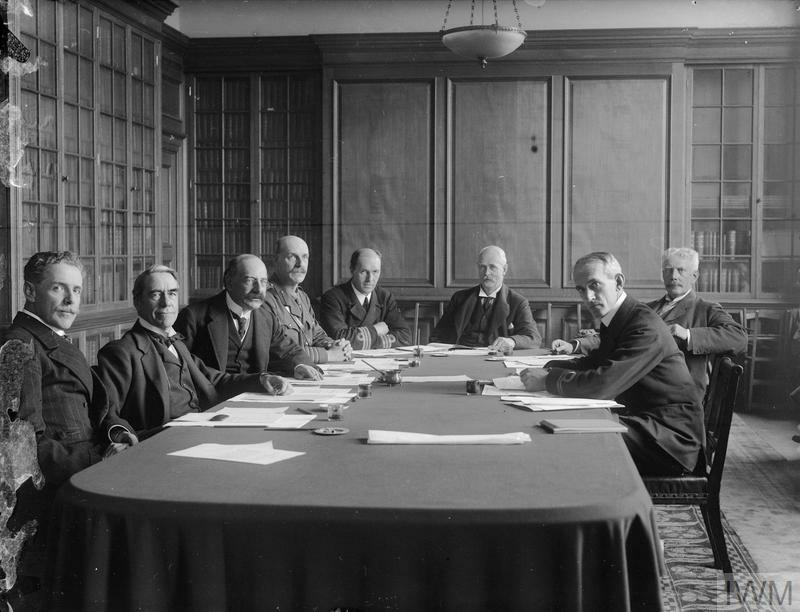 A National War Museum Committee was established to oversee the fledgling institution, which included Sir Martin Conway (IWM Director); Sir Alfred Mond MP (Chair); and Lt (later Major) Charles ffoulkes (Curator). Once IWM was established, work to gather material began almost immediately, with committees established to oversee all types of collections, from Art, the Services and the Library to women, animals, children folklore and religion.Circulars were sent out to Army and Navy units and a collecting team was set up in GHQ in France. 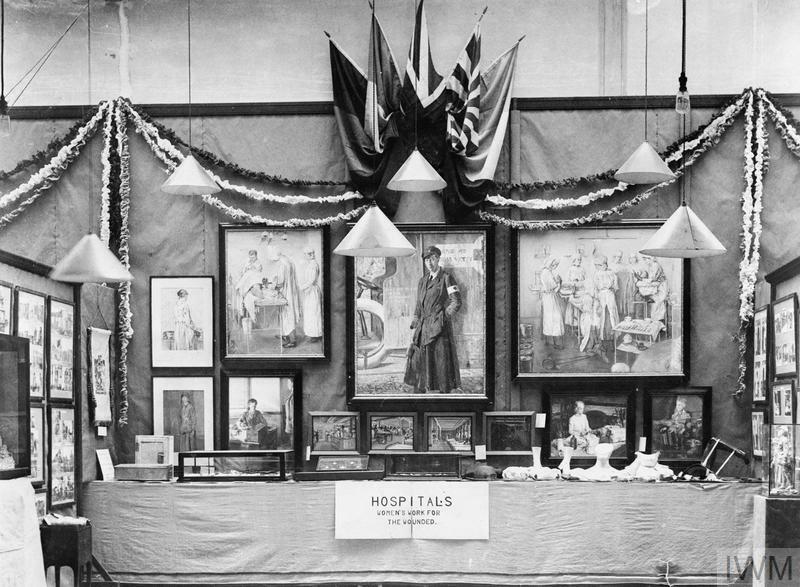 This image shows the Imperial War Museum store at Hesdin in September 1917.The autumn of 1917 also saw the National War Museum become the Imperial War Museum, to better reflect the contribution made to the war effort by people across the then Empire. The Women’s Work Collection recorded the experiences of women during the First World War and beyond. It was accrued largely between 1917 and 1920 by the Women’s War Work Committee led by Lady Priscilla Norman, who went on to be one of IWM’s longest serving founding Trustees. 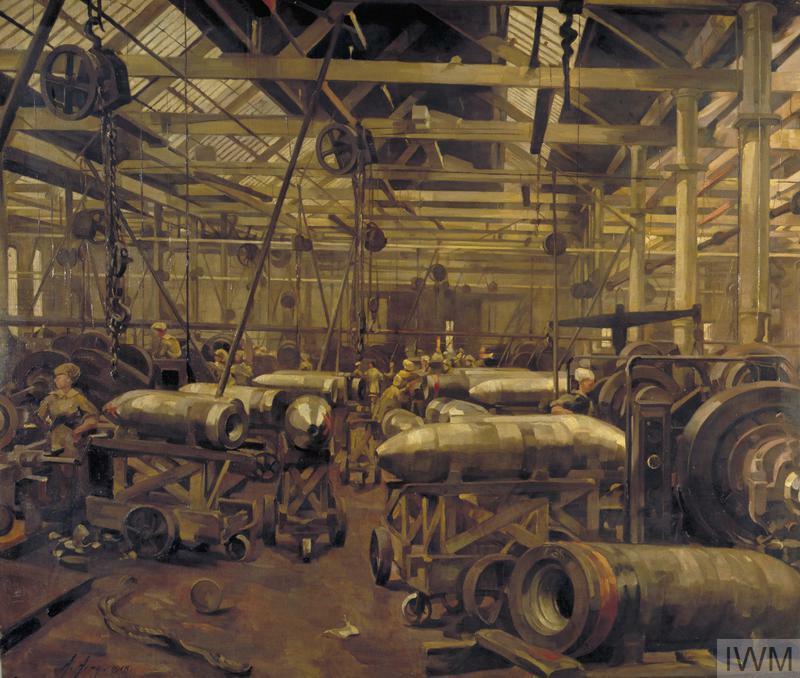 For the first three years of its life, IWM was scattered in offices and stores across London, relying on temporary exhibition venues, such as the Whitechapel Art Gallery and Royal Academy to display its collections. In 1920, the Ministry of Works signed a four year lease of space in Crystal Palace for the Museum’s use, at a cost of £25,000. 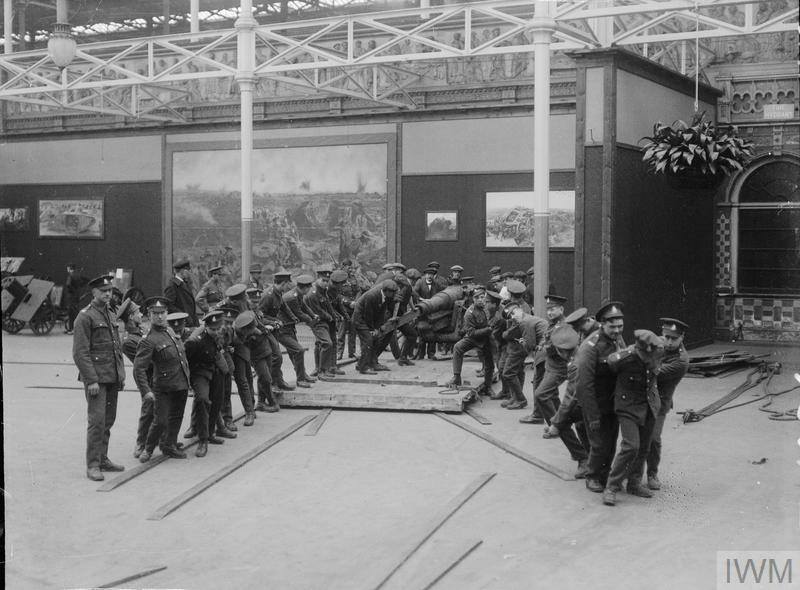 The advantage of Crystal Palace as a venue for the first display of IWM’s collection was that it was spacious enough to accommodate some of the very early large exhibits. The main drawback, however, was that the structure was much too cold in the winter and far too hot in the summer – far from ideal conditions for the objects. 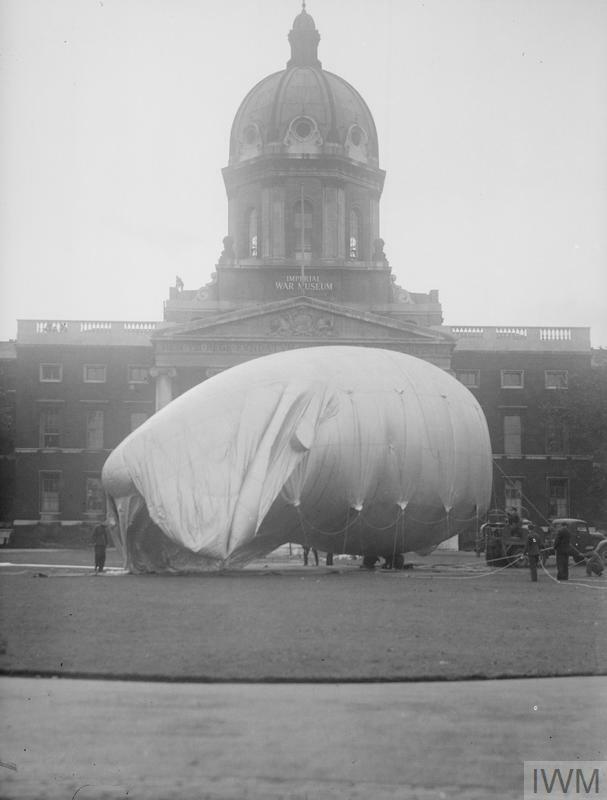 IWM had few staff in its early days and relied on external assistance to move many of its objects. Between April and June 1920 more than 500 tons of exhibits were installed in Crystal Palace in the space of just six weeks. 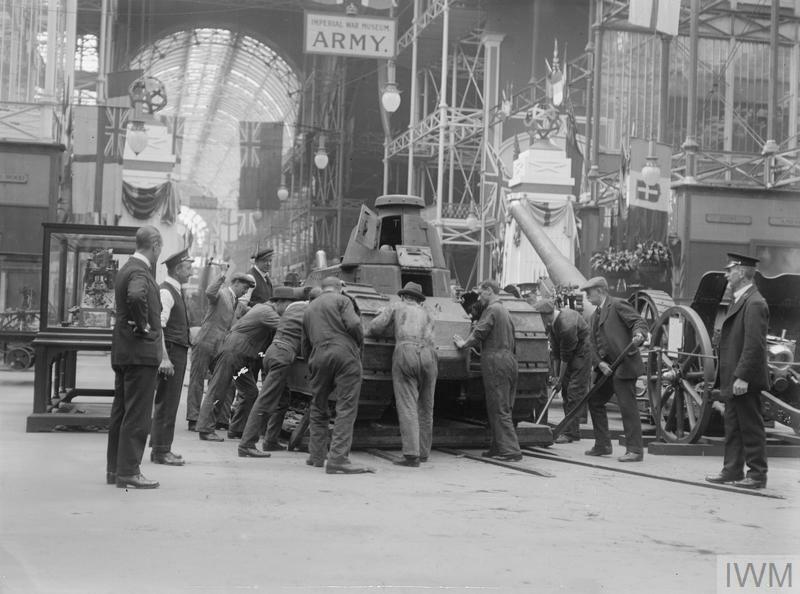 A French tank is moved into position. IWM collected material relating to all countries who were involved in the conflict on both sides. Often this involved writing direct to embassies or other representatives to request material, or in in the case of enemy combatants, requesting captured material from the War Office or direct from the services. 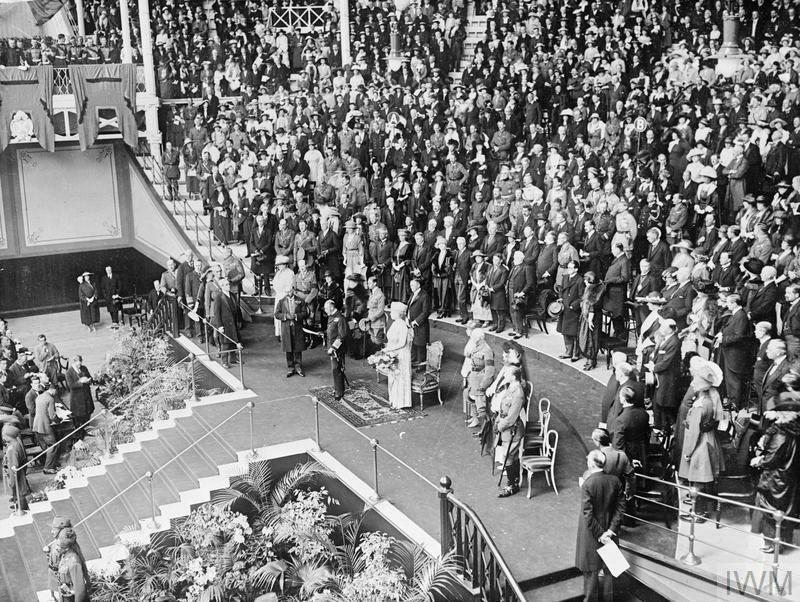 HM King George V opens the Imperial War Museum at the Crystal Palace to the public for the first time as crowds wait to enter the museum. 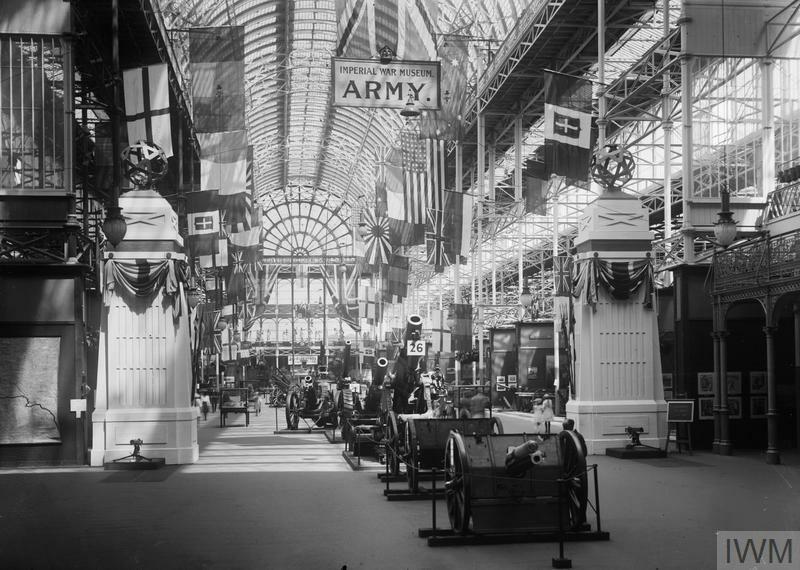 This view of the army section display in Crystal Palace gives some idea of the scale of the early collection. The galleries were spacious enough to accommodate not only tanks and large artillery pieces, but also suspended aircraft, flags, maps and art works. 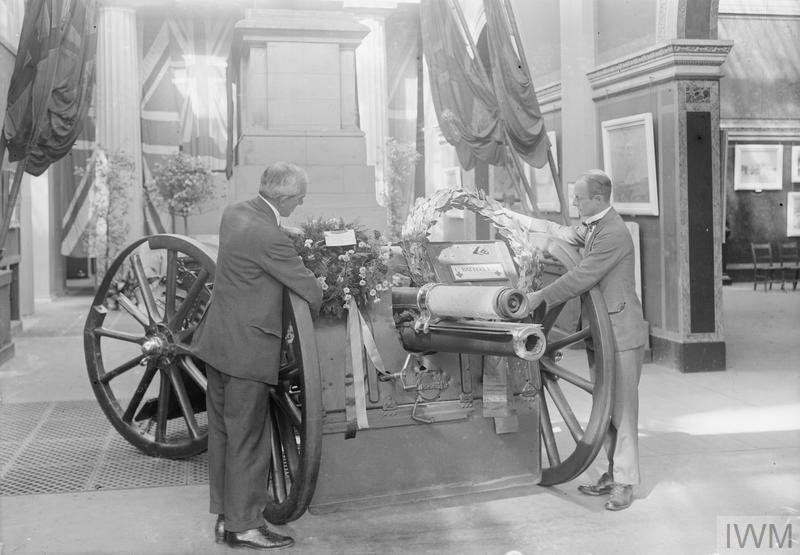 Major Charles ffoulkes and Captain W Mallandaine MC, the Museum's Curator and Superintendent of Stores respectively, place wreaths sent by the Royal Horse Artillery onto L Battery's Vickers QF 13pdr Mk 1 field gun to mark the ninth anniversary of the action at Néry in which L Battery, Royal Horse Artillery won three Victoria Crosses. 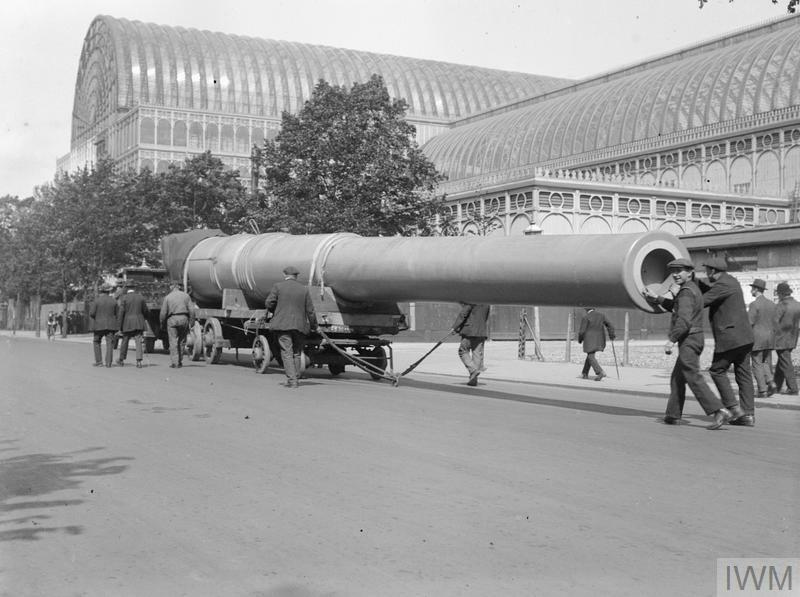 The Nery Battery gun can be seen today in the Atrium displays at IWM London. 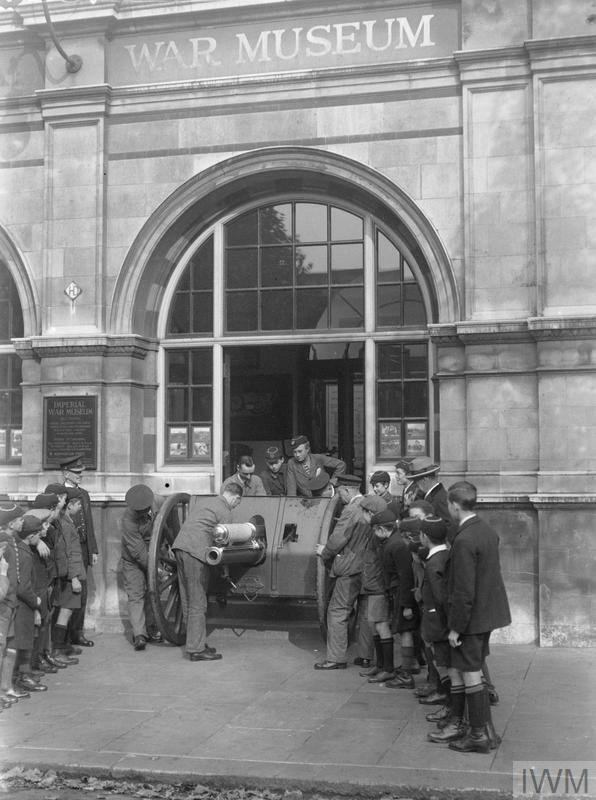 IWM moved across London to its new home in South Kensington in 1924 where it occupied two small galleries adjacent to the Imperial Institute. 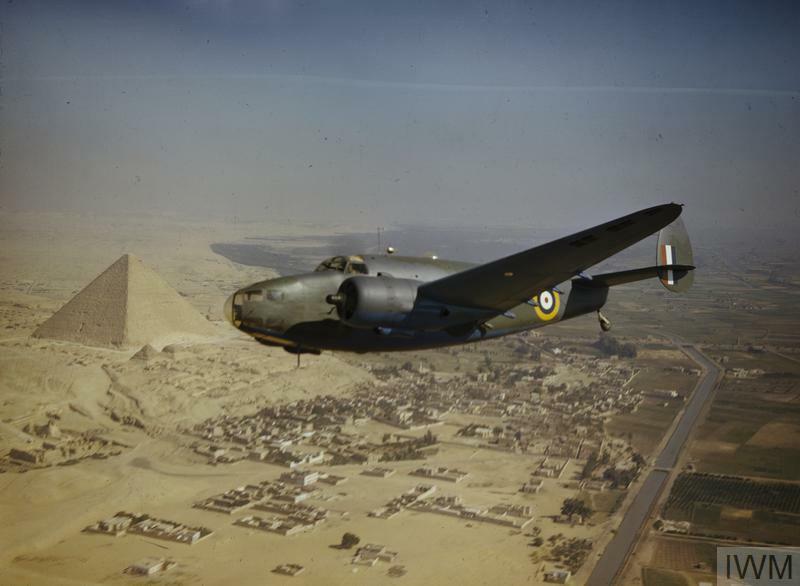 The size of the display space available was significantly reduced and many objects went into store or had to be disposed of, while the museum's aircraft collection was loaned to the Science Museum. 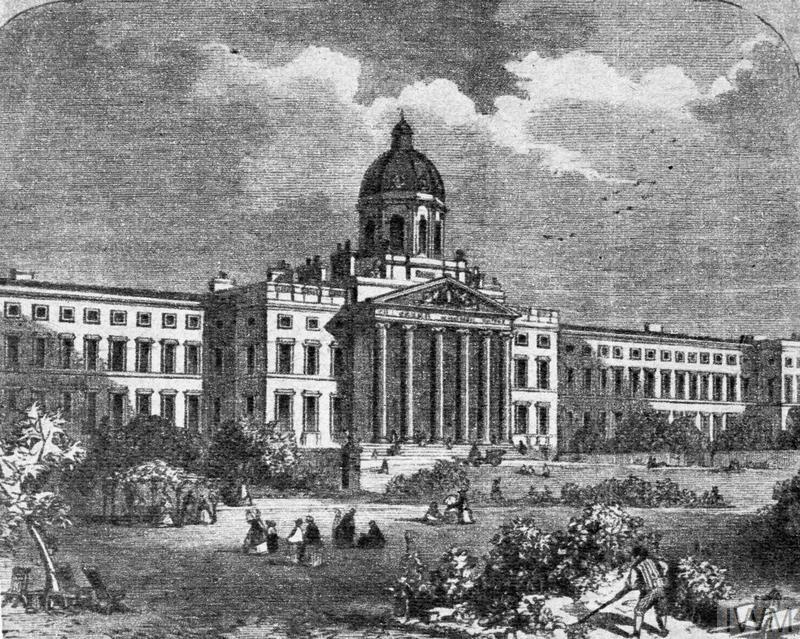 This 19th century print shows IWM’s current Lambeth Road building in its previous incarnation, as Bethlem Royal Hospital. The Hospital moved out to Beckenham, Kent, and the buildings were purchased by Lord Rothermere so they could be demolished and the land used for a public park in memory of his mother, Geraldine Mary Harmsworth. Although the two large wings either side of the structure were demolished to make way for the park, IWM was allowed to use the central portion. IWM moved into its Lambeth Road building in 1936 and remains there to this day. The galleries were opened by the then Duke and Duchess of York (later King George VI and Queen Elizabeth) on 7 July 1936. 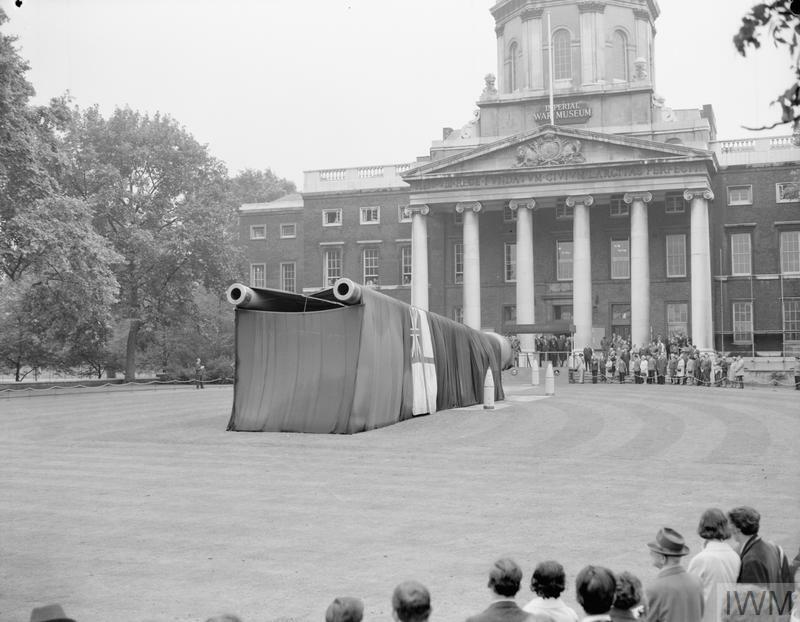 The increase in space meant that the Library, previously based at Queen Anne’s Gate, the aircraft, on loan at the Science Museum, and the rest of the Museum at the Imperial Institute could be reunited in one place for the first time since 1924. 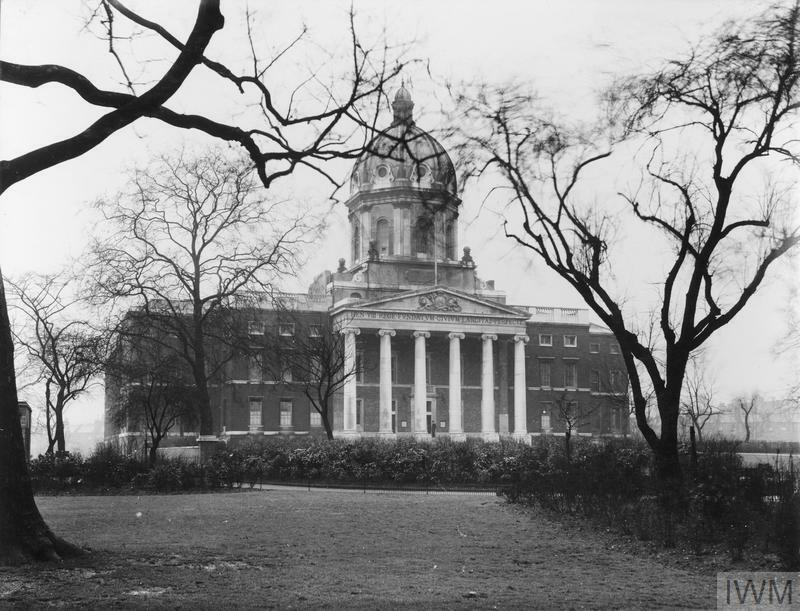 IWM had only been installed in its new home for four years when war broke out in September 1939. The museum was closed and plans were immediately made to evacuate all major exhibits, although it reopened for a short period in 1940. Increasing danger from air raids forced the museum to close again and it remained closed to the public until 1946. A skeleton staff were kept on and the site was used as a timber dump and a Royal Army Ordnance Corps billet during the Second World War. 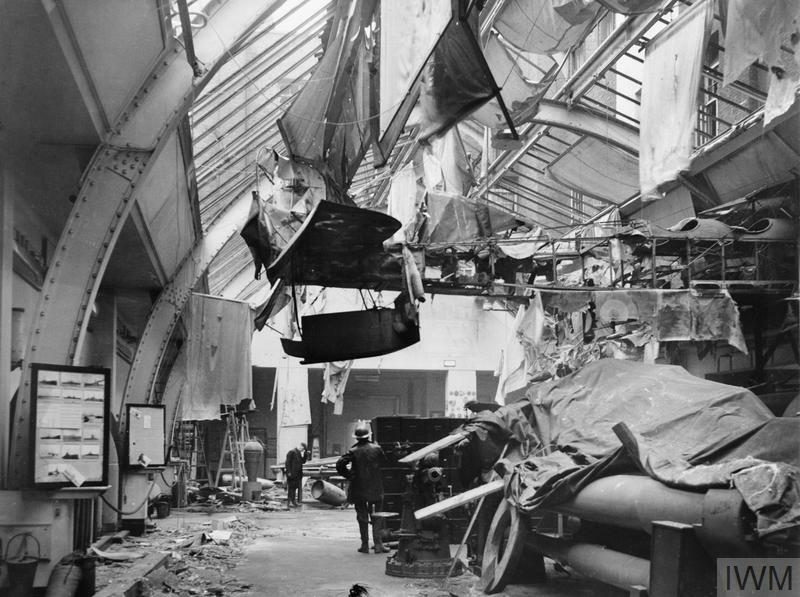 On 31 January 1941 the IWM suffered a direct hit on the Naval Gallery, which caused severe damage to the Short Seaplane that had been flown at the Battle of Jutland. A gang of men working in the gallery had a narrow escape as they left for lunch shortly before the bomb landed. During the war there were 41 instances of bomb damage to the museum building, and these were not fully repaired until the 1950s. The now iconic 15 inch guns from HMS Ramillies and HMS Resolution outside IWM’s Lambeth Road building were installed and unveiled to the public in 1968. The removal was carried out by Robert Wynn and Sons at a cost of £2,575 for the move and £700-£800 for mounting the guns. To minimise disruption, the removal from storage at Shoeburyness to IWM was carried out at night. 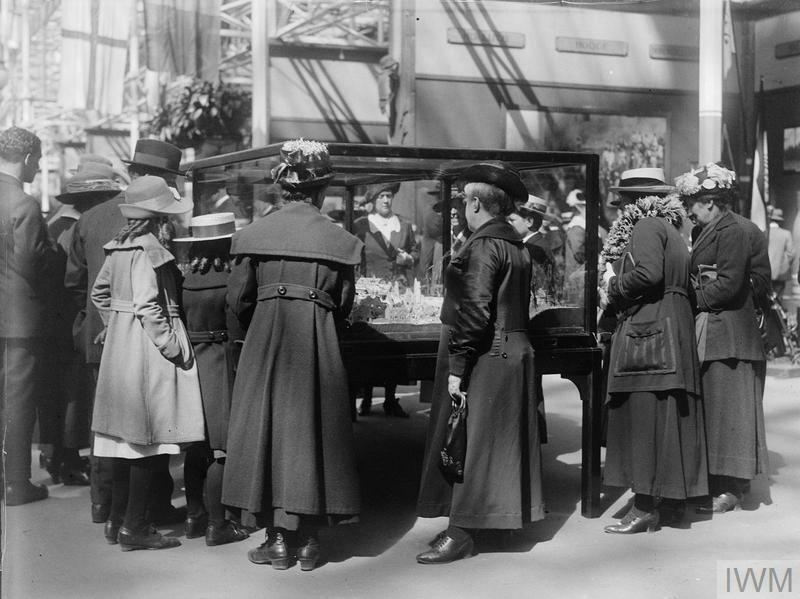 The First World War brought many changes in the lives of British women. It is often represented as having had a wholly positive impact, opening up new opportunities in the world of work and strengthening their case for the right to vote. The reality is more complex. David Cotterell went to Afghanistan in 2007, spending time with British forces and documenting the medical treatment of casualties and their journey away from the front line to medical treatment back in the UK.